At the opening of the 2008 SCAR-IASC IPY conference in St Petersburg (the first joint conference of the Scientific Committee for Antarctic Research and International Arctic Science Committee), Artur Chilingarov, polar explorer and Deputy of the Russian State Duma, officially asked the polar research community to support the concept of a 'Polar Decade' as a direct legacy of the Internatinal Polar Year (IPY) 2007-08. The idea, which had been floating within the community for a little while, consists in perpetuating the international and collaborative momentum of the IPY at a time when polar research is increasingly central to our understanding of global physical processes and climate change, but also increasingly threatened by exterior pressures such as the rising cost of oil. As a domain largely dependent on field observation in the some of the coldest and remotest regions on Earth, polar research is particularly dependent on fuel - and thus subject to its rising cost which is compounded by the need to burn fuel in order to get fuel into the field to be used for research purposes. For some polar research programmes - such as for example Antarctica New Zealand (ANZ), which buys its fuel directly from the US Antarctic Programme (USAP) - this will mean paying up to 60% more per barrel of oil for the 2008-09 Antarctic season, compared to the 2007-08 season. Paradoxically, it might be said that the effects of burning fossil on the Earth system is the reason why polar research is becoming increasingly important and relevant, but that the cost of these same fossil fuels means that the discipline is under increasing financial strain, with budgets intended for research now having to be spent on fuel and logistics. Whilst an increasing number polar research programs (led by the recent fuel-saving achievements of polar programmes such as those of Australia, and especially Belgium with its new zero-emission station), are now addressing the need to reduce their reliance on fossil fuels through the capture of renewable energy, the reality is that for most nations, the deployment of the necessary technology will take years - and that air and sea transport to and from the Polar Regions will continue to be fuel dependent. By floating the idea of a Polar Decade, the polar research community hopes to keep polar science and its findings in the public eye and to maintain the positive international momentum achieved during the IPY 2007-08. But perhaps just as importantly in today's global economic context, is the hope that a Polar Decade will keep the pressure on policy makers to recognize the importance of studying global climate change from the vantage point of the Polar Regions, and thus to maintain and/or increase the level of funding necessary to face up to these inflationary pressures. 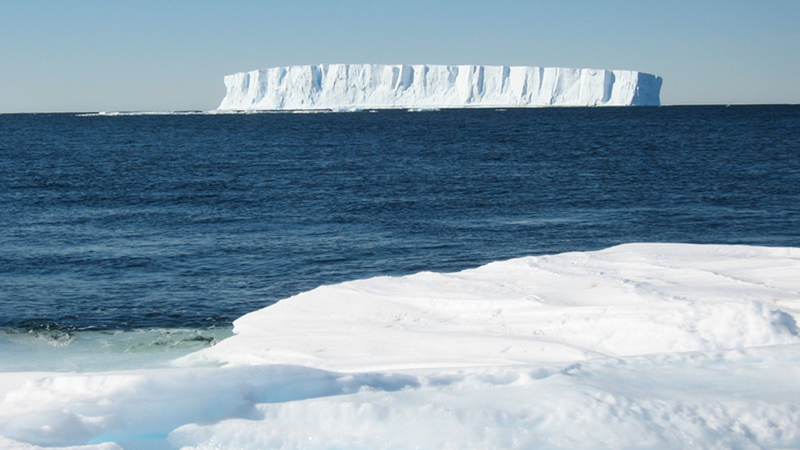 Among the research priorities of this proposed Polar Decade would be ongoing IPY and non-IPY programmes in the fields of oceanography and biology, glaciology and ice coring, geology, atmospheric science and ozone depletion, paleoclimatology and climate modelling, sociology, medicine, and anthropology. Some of the most pressing questions to be addressed in the context of global climate change will be Arctic sea ice depletion, permafrost melt, ice sheet dynamics and the effects of atmospheric and oceanic warming on the Greenland and Antarctic ice sheets (and the threat they pose for sea level rise), ozone depletion and recovery, past and future climate modelling, variability of ocean currents, and the effects of regional warming on native species and Northern communities. In helping to address these questions, it is also hoped that a Polar Decade will encourage polar research nations to keep working together as they have done so successfully during the IPY, thus maximising efficiency, reducing costs, avoiding overlapping research, and generally providing added value and momentum through the rationalization of their logistical networks and scientific resources. In essence: Providing policy makers and the international community with clearer answers, more rapidly, and more efficiently at a time when these are more valuable and necessary than ever. "Among the research priorities of this proposed Polar Decade would be ongoing IPY and non-IPY programmes."